If it returns anything, the CPU you are using supports virtualization. However even if this is the case, virtualization support may be disabled at BIOS level. If your computer has a CPU that supports virtualization and you don’t mind messing with BIOS switches, you would be better off if you use KVM or Xen for virtualization. Those solutions make use of the hardware virtualization support and as a result the guest OSs are almost as fast as if they were running without virtualization on a bare metal. If you expect to use the guest OS for any sort of “heavylifting” (e.g. running a build process), you should better use hardware that supports virtualization. You can find instructions on how to install KVM in this my post. However there are many cases when you can use virtualization without hardware support. For example, you have a computer with x86 CPU architecture and you want to develop for a device which uses CPU with ARM or Atom architecture. Or you want to do something which can break the OS you are experimenting with. And so on. For such cases I would recommend using QEMU emulator. It allows emulating computers with various CPU architectures on x86 host system. It also provides a number of virtual devices. Besides this it uses a number of techniques to make the emulation faster; sometimes the execution speed is even close to what KVM virtualization provides. 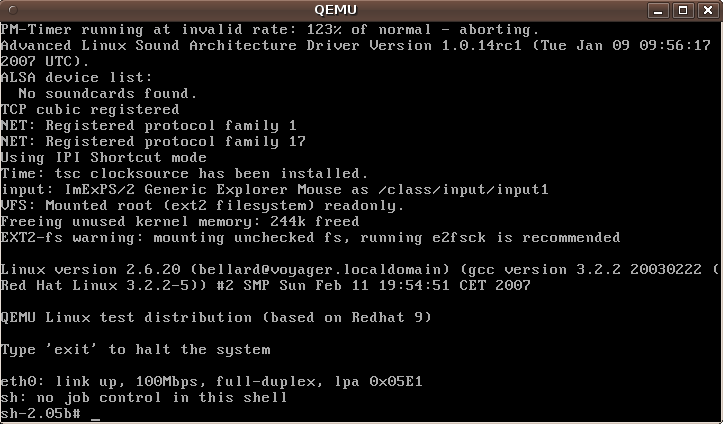 QEMU is broadly used, it is a sort of standard de-facto. 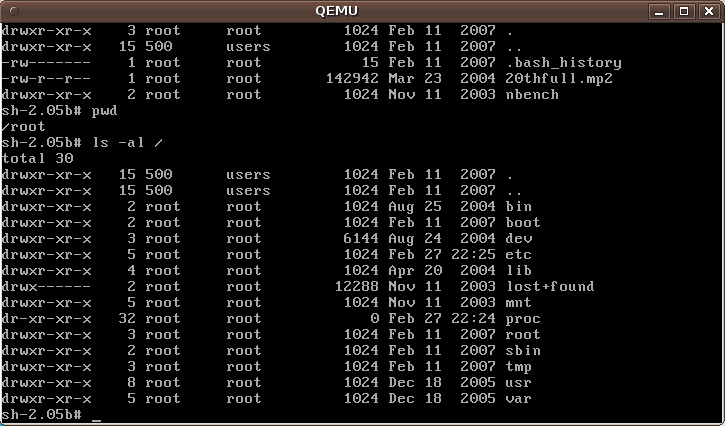 In fact, KVM uses QEMU virtual machines as well. Another example is Android device emulator. It uses QEMU “under the hood”. Overall, QEMU is quite amazing piece of software if we consider complexity of the task it performs. It was developed initially by Fabrice Bellard, who is quite remarkable individual as well in my opinion. You can read a good overview of QEMU and its history here. I have an old 2005 computer running Ubuntu Linux 9.04 which does not have hardware virtualization support; the steps described below were performed on that computer. A “crash course” on qemu can be found here. This package contains utilities for configuring the Linux Ethernet bridge in Linux 2.4 or later. The Linux Ethernet bridge can be used for connecting multiple Ethernet devices together. The connecting is fully transparent: hosts connected to one Ethernet device see hosts connected to the other Ethernet devices directly. Enabling network connectivity requires certain additional steps. Please look at this post, sections Configuring network access and Troubleshooting. ubuntu-vm-builder is a script which automates the process of creating a ready to use VM based on Ubuntu. You can pass command line options to add extra packages, remove packages, choose which version of Ubuntu, which mirror to use etc. qemu package contains only x86 CPU support as a default option. If you need yo emulate computers with other CPU architectures, you need to install qemu_kvm_extras. The package supports ARM, CRIS, i386, M68k (ColdFire), MIPS, PowerPC, SH4, SPARc and x86-64 emulation. It uses so-called dynamic translation of executed binaries and improves execution speed substantially when you execute non-x86 code on x86 machine. You can find more about QEMU dynamic translation here. At this point you are ready to run a guest OS as VM using QEMU. (if you don’t have curl install it by typing sudo apt-get install curl or just download the file using e.g. a browser; whatever works for you will do). Later in other posts we are going to look at creating and managing QEMU VM images and troubleshooting. 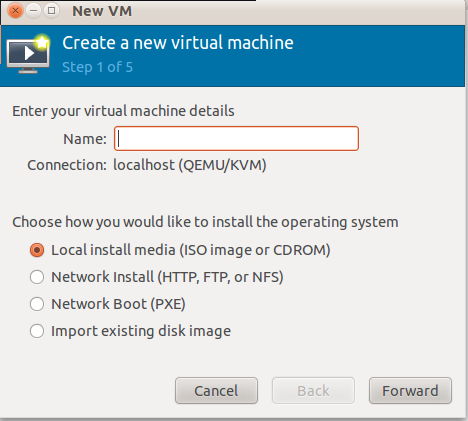 In an earlier post we looked at how to install KVM virtualization on Ubuntu Linux. Now we are going to learn how to change parameters of an existing virtual machine. Configuration of KVM virtual machine (VM) is stored as a usual xml file. By default it is located in /etc/libvirt/qemu directory. I assume you have already installed KVM and created one or several virtual machines, so the configuration files already exist. (of course, use a name of a virtual machine which exists on your computer instead of testVM.xml). Please note, the memory is allocated in kilobytes, so the number above corresponds to 512MB (524288 = 512 * 1024). Of course, it is possible to edit the file in place. But this is rather a risky method since we can make a mistake etc. The recommended method includes 3 steps. First export the VM xml file via virsh, then edit it and finally import back. Please note, we must put only a name of the VM after dumpxml parameter, without a path or an extension. Notice, file timestamp has been updated and now reflects the time when we imported the file. which means that virsh silently corrected our mistake. Recently I found that I need 32-bit Ubuntu for certain experiments I wanted to perform. My laptop is running 64-bit Ubuntu. 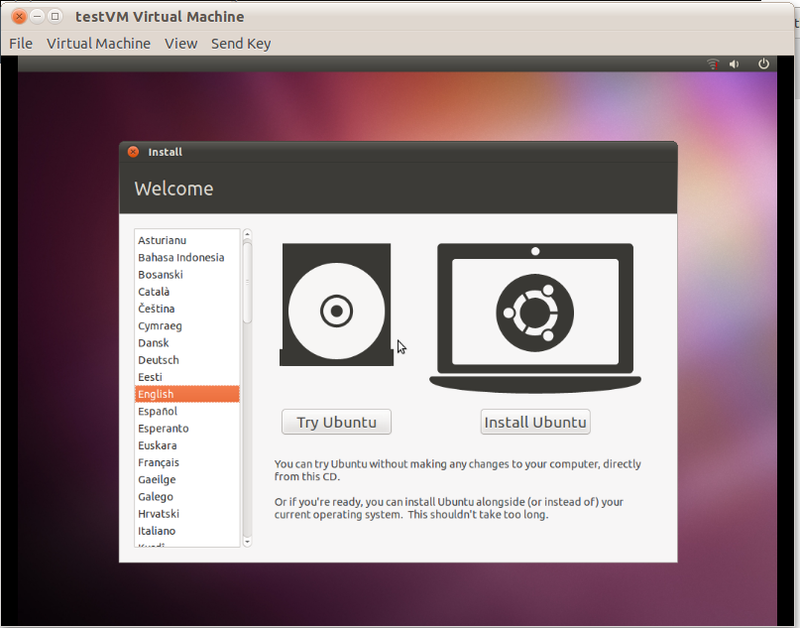 As a solution I decided to install Ubuntu 10.10 32-bit on my laptop as a guest system in a virtual machine (VM). You can use the instructions to install another guest OS, e.g. Windows. The differences will be minimal and obvious. There are two virtualization solutions available on Ubuntu: KVM and Xen. Both could do what I needed, but after some deliberation I decided to use KVM. The post below is not a manual on KVM installation; it is just a description of how I installed it. If you look for more in-depth info on KVM installation, I recommend reading Ubuntu documentation. It is slightly outdated for Ubuntu 10.10, but still very helpful. If your hardware does not support virtualization or virtualization is disabled at BIOS level and you don’t want to mess with BIOS, you can still have a virtualization solution using QEMU emulator. For instructions look at this post. Restart computer. 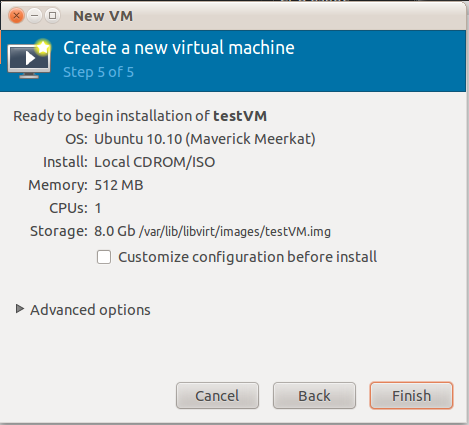 Now we are going to install two graphical utility for managing and accessing virtual machines. The virt-viewer application allows you to connect to a virtual machine’s console. virt-viewer does require a Graphical User Interface (GUI) to interface with the virtual machine. Now we are ready to create a virtual machine. This can be done either through command line or GUI. In both cases you’ll need an image of a guest OS you want to install on VM. Since I was installing Ubuntu 10.10 32-bit, I download Ubuntu iso image from here. ~/Downloads/ubuntu-10.10-desktop-i386.iso – path to Ubuntu disk image to install. Of course, this can be an installer for another OS, e.g. Windows. Click Forward. On the next screen select VM RAM size and a number of CPU cores the VM will be using (of course, the latter is possible if you use a computer with multi-core CPU). Click Forward again. This is a regular installation process of the OS (Ubuntu 10.10 in the given case). AT the end you will have a fully functional VM with OS installed. With one caveat: it does not have a network access. Since we do need network access for most practical uses of VM, we’ll configure it. I have followed instructions here. They worked well with one correction – I did not need to edit interfaces file to enable the bridge as the instruction suggest. It was enabled automatically by the installation process. Please note, KVM network bridge does not work with most wireless network drivers; therefore the most likely you will need to use ethernet connection. Make sure, all cables are plugged in properly and there is connectivity through ethernet network interface indeed. Ubuntu 10.4 (Lucid) and later – Grant specific users the CAP_NET_ADMIN capability. This capability should be assigned cautiously, as it will allow those users to disrupt all networking on the system. Of course, use your user name instead of vlad. The document which I have been using suggests as a next step setting up a bridge interface. To do this it recommends to edit /etc/network/interfaces. I didn’t need to do it; everything was configured automatically. 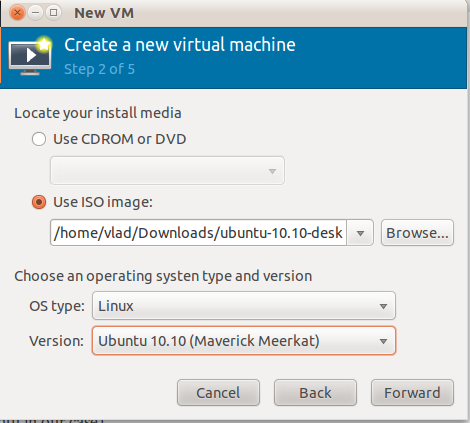 If you want to change VM configuration after you created it, take a look here. I have encountered two problems while setting KVM networking. Problem #1. If you computer has a wireless connection with a wireless router, connecting it simultaneously with the same router by an ethernet cable may result in no connectivity at all even for your host OS. To fix this disable a wireless network on your computer so that only ethernet connection was enabled.